Creamy Tuscan Chicken and Potatoes is a hearty delicious meal that is full of creamy bold flavor. The potatoes are the perfect compliment to the tender and crispy chicken all made in one skillet. Chicken is a huge staple in our family, if you enjoy easy chicken meals you should try creamy Italian chicken skillet, crispy honey sriracha chicken, or this creamy garlic mushroom and parmesan chicken skillet. 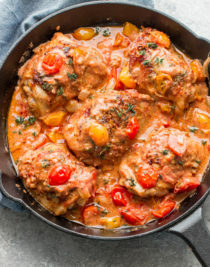 This tuscan chicken recipe has so much going on you will love every bite. There is nothing better than a creamy garlic sauce packed full of flavor paired with roasted chicken that has a crisp outer layer and moist and juicy inner layer. 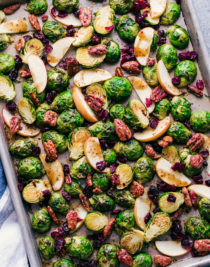 The addition of spinach and sun dried tomatoes really gives this meal an amazing tuscan flare. 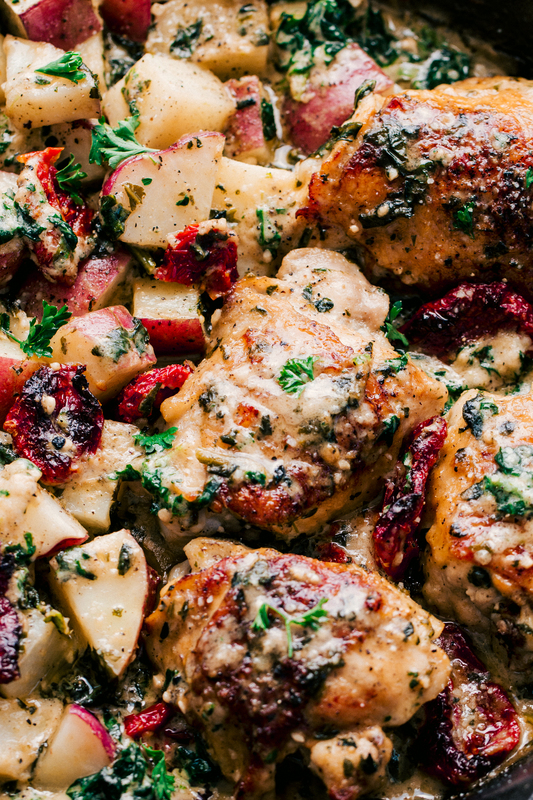 I can’t help but be excited about creamy garlic tuscan chicken and potatoes in one amazing combination. This creamy tuscan chicken is a wonderful addition for a tasty family dinner, and there are no complicated ingredients or tricks, just good old fashion home cooking. How Do you Make Good Chicken? Melt 2 tablespoons of butter in a skillet at medium high heat. Season chicken thighs with paprika, garlic salt, and pepper and place skin side down in skillet. Cook chicken for about 4 minutes on each side until golden brown. Place chicken in a 400 degree oven and bake for 30 minutes until chicken is cooked through and juices run clear. Tuscan chicken is made with an aromatic combination of herbs and spices. 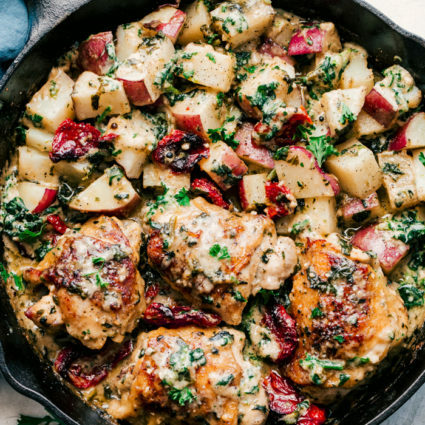 The chicken is fried and then baked in the oven to finish cooking and is mixed with an amazing garlic sauce, red potatoes, sun dried tomatoes, and spinach for an amazing culinary flavor experience. How Do you Make Baked Chicken? Coat chicken with extra virgin olive oil. Season chicken with garlic salt, pepper, and Lowry’s seasoning. Spray a sheet pan with a little non-stick cooking spray and place chicken on the sheet pan. Place in the oven for 20-25 minutes until no longer pink and juices run clear. 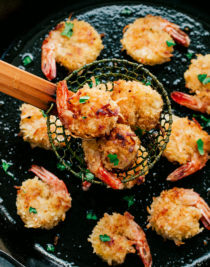 How do you make skillet potatoes? Season and stir often until potatoes are soft and golden brown on the outside, about 10 minutes. 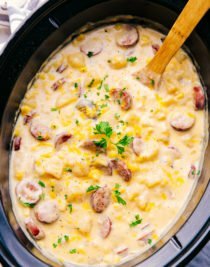 Creamy Tuscan Chicken and Potatoes is a hearty family meal that is full of flavor, is creamy, and tastes amazing. Season chicken thighs with paprika, garlic salt, and pepper. In a large skillet set over medium-high heat melt the butter. Add the chicken, skin-side down, and cook both sides until golden brown, about 4 minutes per side. Add in the spinach and cook until heated, about 2 minutes and reduce heat to simmer. For the sauce, melt butter in a sauce pan and add the garlic. Cook about 1-2 minutes. Whisk in the flour and cook for about 1 minute. Gradually whisk in the chicken broth, parsley, salt and pepper. Allow the sauce to cook, stirring constantly for about 2 minutes, whisk in the half and half and parmesan. Cook until slightly thickened, about 2-3 minutes. Remove from the heat. 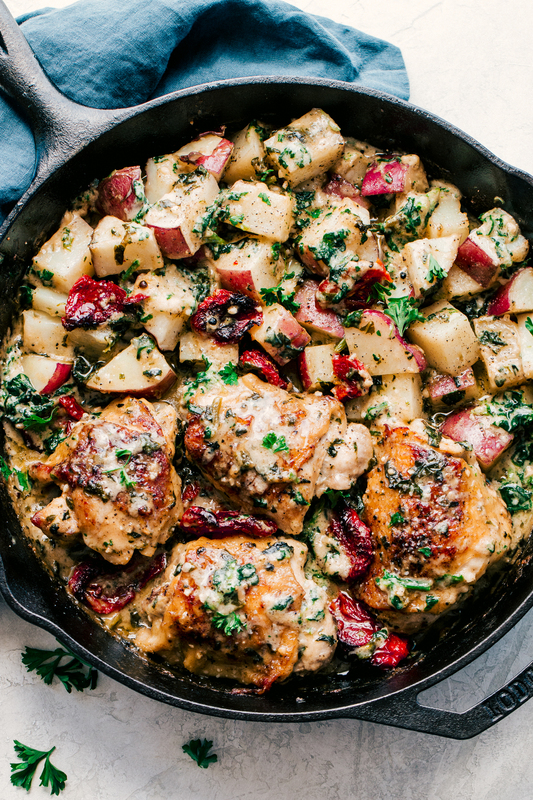 Place the potatoes around the chicken in the skillet, then top with sun-dried tomatoes. Pour the sauce over top. 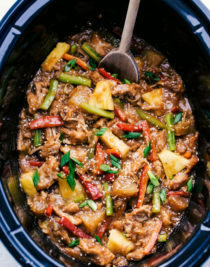 Place skillet in the oven and bake for 30-35 minutes or until the chicken is cooked through and potatoes are tender. 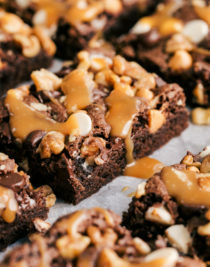 Remove from the oven and allow to cool for 5 minutes before serving. Please tell me the brand of sun-dried tomatoes you bought in Rome. I used the brand, Bella Sun Luci. And I used the whole sun dried tomatoes, not the julienne. 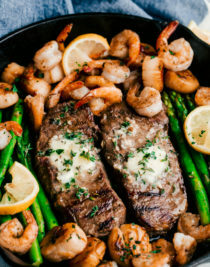 Should the skillet be covered in the oven? NO you don’t have to cover the skillet. Just cook the spinach until heated, sorry not until wilted. 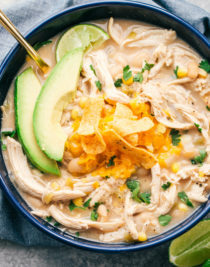 Can chicken breasts be substituted for the thighs? 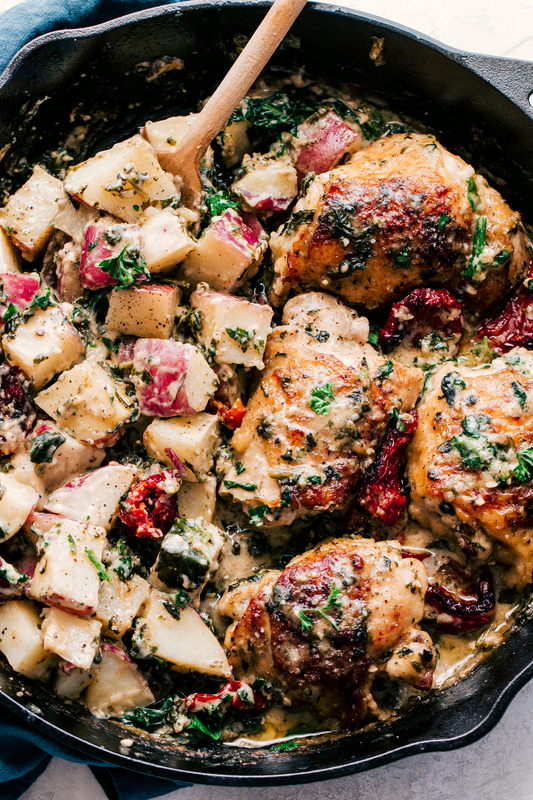 Pingback: Creamy Tuscan Chicken & Potatoes | Eat.Drink.Frolic.